Get onto the hard stuff with this strong hold multi-purpose styling tool that really goes the distance. Texturise, mould, piece or simply just shag it out any way you want for that totally 'lived-in' look. 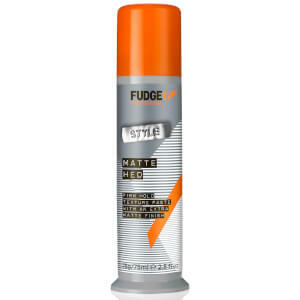 Apply Fudge Shaper to hands, rub thoroughly and distribute evenly through the hair. Work in and create desired style.